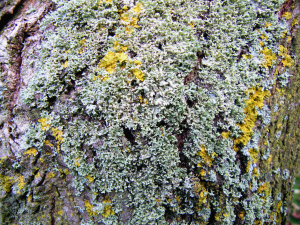 Observation - Physcia on ornamental tree - UK and Ireland. Description: Various magnifications of grey foliose lichens on a smooth barked ornamental, possibly laburnum. Later images contrast the two forms mentioned in the ID notes. Various magnifications of grey foliose lichens on a smooth barked ornamental, possibly laburnum. Later images contrast the two forms mentioned in the ID notes.